When we are on the verse of getting iOS 10, there are some cool features in iOS 9 which is very handy and helpful. 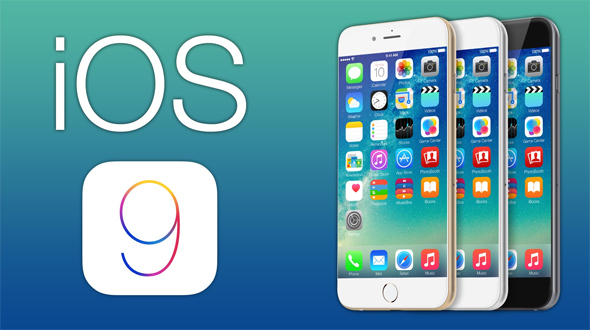 Today we are going to talk about the five such hidden gems, which will help you to get maximum out of your iOS9. With iOS 9 you can use Pinch to zoom feature, not only for photos but also for videos. You have to just use the pinch gestures in the same way you use for clicking the photo, while you shoot the video from your iPhone or iPad running iOS 9. Another feature which has been added to the camera section is, now you can hide the photos you click on your device. To use this feature go to camera roll tap ‘Select’ and select all the photos you want to be hidden away then tap the bottom left corner button to open a Share Sheet and select ‘Hide’. This feature of iOS 9 is helpful to those who are looking for the extra privacy with their photos. Before iOS9, it was very hard to monitor which apps are killing the maximum battery of your device. With iOS 9 you can get a detailed view of the battery consumption by different apps. To view the details of the battery consumption you have to go to Settings > Battery then ‘Battery Usage’. iOS 9 has also got a feature where you can switch on the ultra power saving mode for longer battery life. This feature is very handy if you are going to visit the place which may not have the charging facility or incase you are traveling. To use ultra power saving mode go to Settings > General > Battery > Low Power Mode. Quick calls, Messages & Quick Reply are the two new feature which has been added to iOS 9. To access open Spotlight (swipe right on your home screen, or swipe down over the home screen icons) and you’ll find iOS 9 gives you quick access to call or message contacts. Originally Quick reply is the feature which has been launched with iOS 8, but was restricted to messaging app only. With iOS 9 all messaging apps are allowed quick replies to be sent by dragging down on a new message notification. Now you can save the Website which you access on the mobile in PDF format. This feature is very handy for the offline reading. To access, Open the Safari Share Sheet menu and you’ll now find ‘Save PDF to iBooks’. We do understand advertisement is one of the biggest earning source for website like us, but some time too many ads irritates the reader. With iOS9 you can now block the ads , to block you have to long press the refresh icon in Safari, it gives you the option to reload the page with ad blocking enabled.